Turkey's Foreign Ministry has slammed the European Union for siding with the Netherlands in an ongoing row, accusing the bloc of exercising democratic values selectively, as well as encouraging xenophobia and anti-Turkish sentiment. “EU counterparts are exercising democratic values and basic rights and freedoms selectively,” the ministry said in a statement, as quoted by Reuters. “It is very grave for the EU to hide behind member country solidarity and stand by the Netherlands, which has clearly violated human rights and European values,” it continued. The ministry went on to address a Monday statement by EU foreign policy chief Federica Mogherini and enlargement commissioner Johannes Hahn. 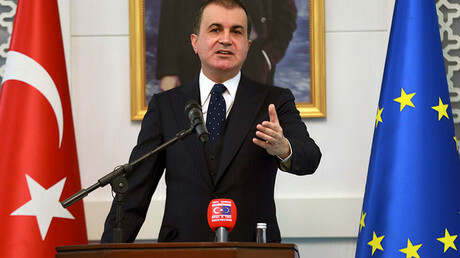 It called on Turkey to refrain from “excessive statements” following the tensions of last days between Turkey and some EU member states to avoid escalating the dispute. It accused that statement of including “inaccurate assessments” and helping “the cause of extremes such as xenophobia and anti-Turkish sentiment,” as cited by Reuters. 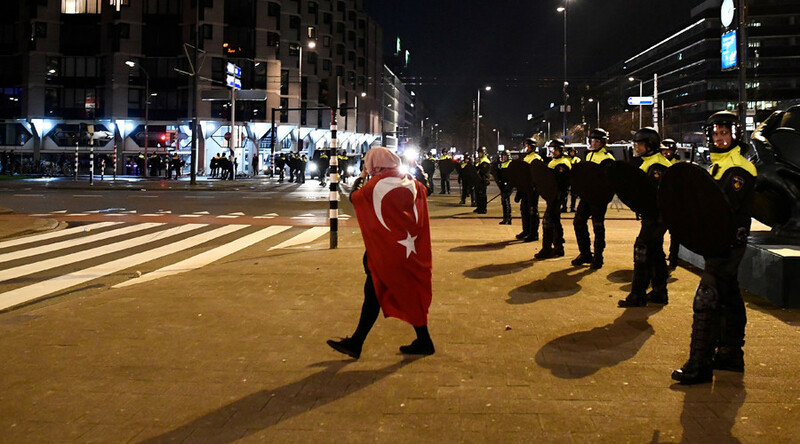 Ankara's intense row with the Netherlands comes after Dutch authorities prevented two Turkish ministers from staging rallies for the Turkish diaspora over the weekend, and used dogs and water cannon to break up hundreds of demonstrators waving Turkish flags outside the consulate. Turkish President Tayyip Erdogan accused the Dutch government of acting like “Nazi remnants” for barring his ministers from addressing expatriate Turks. The ministry's statement comes just one day after Ankara issued diplomatic sanctions on the Netherlands, including a ban on the Dutch ambassador and barring diplomatic flights from the Netherlands. Dutch Prime Minister Mark Rutte said on Tuesday that the sanctions – which do not appear to include economic measures or travel restrictions for ordinary citizens – are “not too bad,” but are inappropriate as the Dutch have more to be angry about. Erdogan is seeking the support of Turks living abroad, urging them to vote 'yes' in an April 16 referendum which would boost his powers as head of state. The proposed constitutional changes were slammed as a “dangerous step backwards for democracy” by a panel of legal experts at the Council of Europe on Friday. The proposed legislation would enable Erdogan to issue decrees, declare emergency rule, appoint ministers and state officials, and dissolve parliament. Critics say it will remove the system of checks and balances. However, Erdogan says political change is needed in order to tackle security threats including Islamic State (IS, formerly ISIS/ISIL) and Kurdish militant bombings.